A special art exhibit is to begin this Thursday evening, August 17th, and will continue until September 15th 2017. 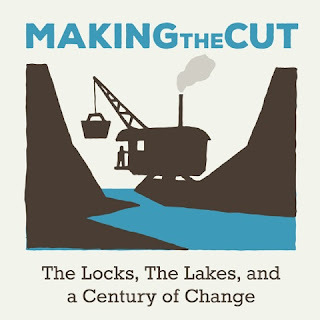 Yet another reason to bring friends and visitors to the locks. As part of the year's activities involving the Centennial Anniversary of the completion of the Lake Washington Ship Canal and Chittenden Locks, there will a temporary art installation in the Administration Building. This will be a unique opportunity to see local artists works in your next visit to one of Seattle's most popular attractions. 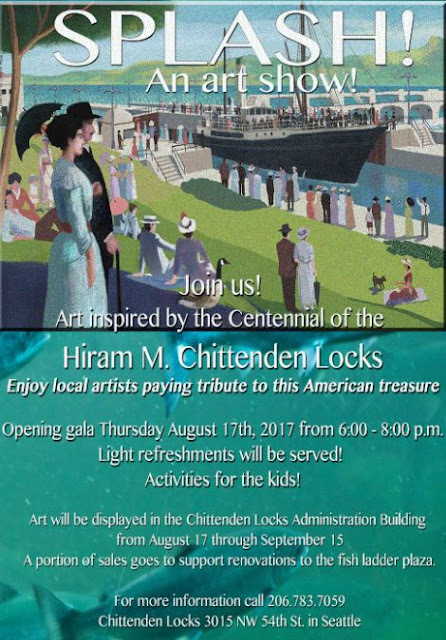 "Art inspired by the centennial of the Chittenden Locks goes on display August 17 to September 15. Opening gala Thursday, August 17th, from 6:00 to 8:00 p.m. Light refreshments and activities for kids! Plus STRUM — Seattle’s Totally Relaxed Ukulele Musicians — will be playing from 6:00 to 7:30. Art will be displayed in the Chittenden Locks Administration Building. A portion of sales goes to support renovations to the fish ladder plaza. For more information call the Locks Visitor Center at 206.783.7059." Visit Making The Cut 100's website here for more information on this and other events and resources. Making The Cut 100 has received support and funding from 4Culture and is grateful for the projects made possible by this support.